PSNews - The ancient capital of Hue has welcomed a large number of tourists visiting famous tombs, temples and pagodas during the Lunar New Year season (Tet). Police officers caught many young people using drugs. Senior Colonel Phan Van Minh, Head of the Staff Office of the Thua Thien – Hue Provincial Police, the rising number of tourist meant more vehicles on the road so the provincial police had to implement various measures to ensure security and order as well as traffic safety and order. After a month implementing the measures, the provincial police successfully investigated some 100 criminal cases, such as thefts, robberies and social evils. 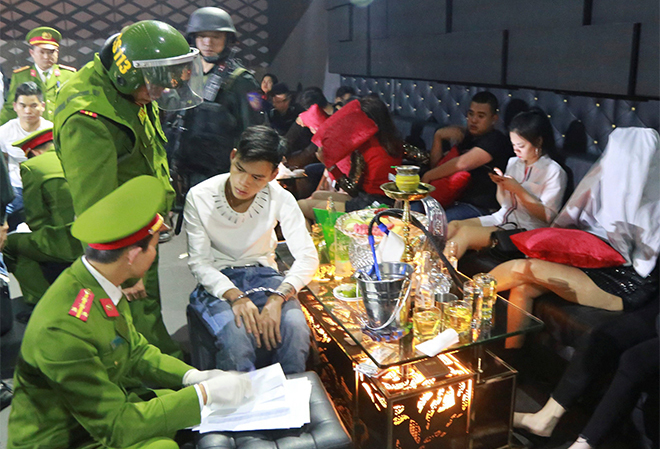 The Criminal Police Office also raided a gambling den in Hue city, arrested 20 gamblers and 184 million VND in cash, 20 mobile phones, 1 car and 10 motorbikes. Meanwhile, the provincial traffic police enhanced patrols to ensure traffic order and safety along various routes, especially the 1A National Highway, detect, prevent and handle all violations of the traffic regulations. 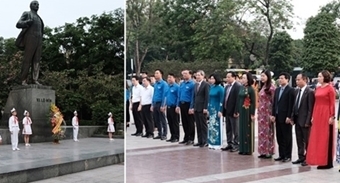 Senior Colonel Nguyen Quoc Doan, Director of Thua Thien – Hue Provincial Police Department, said that the provincial police had deployed all forces and means to implement the plans to ensure safety for the local people and tourists during the Lunar New Year festival.